Retired U.S. Navy Cmdr. Lynn Baughman, 73, drives from Centerline, Mich., to receive treatment at Detroit Mercy Dental Center. He has been since 2006. Since he was three years old, Baughman knew he wanted to fly an aircraft. He enlisted in the Army after high school for their flight program. After receiving his wings, he flew helicopters in Vietnam and served as an instructor pilot stateside. In college, he rushed the Navy for its flight program and continued to serve as a fighter pilot in Desert Storm. He describes these experiences as the most challenging, demanding and focused experiences of his life. He understands the intense value of routine. He knows how important it is to train. After retiring from a 26-year career, his retirement plan did not include dental insurance. A friend referred him to the School of Dentistry, so he decided to give it a chance. “If it’s a dental student, they have to be monitored like a hand in a glove – I figured I’ll take a shot and we’ll see how it goes,” said Baughman. Turns out, the experience was better than expected. In fact, he finds coming to Detroit Mercy Dental Center quite enjoyable! Not only does a scientific explanation help him to better take care of his teeth, but it builds trust in his provider. “My dental hygienist recommended an electric toothbrush for me, and I rushed out and got one. Now I’m brushing four times a day with that thing,” he said. But departures have become easier for him since the new clinic model was adopted in 2017. 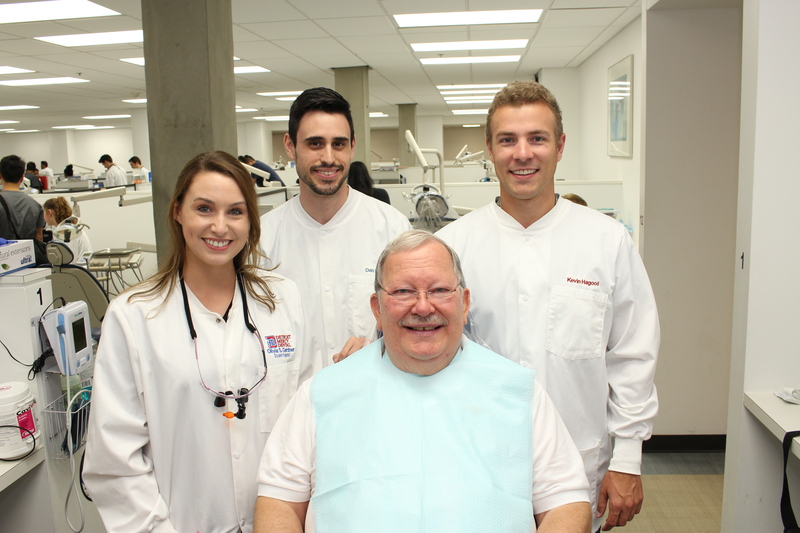 Now that third- and fourth-year dental students work in pairs, there is continuity in changing over to a new provider. He already trusts and is confident in his new fourth-year student because they have been working together for a year prior to the transition.